Cheese Cracker Turkey- created by "Crafty Texas Girls"
Nutter Butter Turkey Cupcakes- created by "Home is Where the Boat Is"
Rice Krispie Pumpkin Pie Treats- created by "Just A Taste"
Chocolate Covered Pretzels in a Turkey Jar- created by "Inside Bru Crew Life"
Turkey Treats & Scarecrow Cups - created by "The Keeper of the Cheerios"
Chocolate Dipped Rice Krispie Treat Turkeys- created by "Hungry Happenings"
Turkey Treat Bags with Printable Tag- created by "Val Event Gal"
Thanksgiving Mad Libs-- found "here"
Give Thanks FREE Printable Banner- created by "Paging SuperMom"
Turkey Breakfast- created by "Kitchen Fun with my 3 Sons". 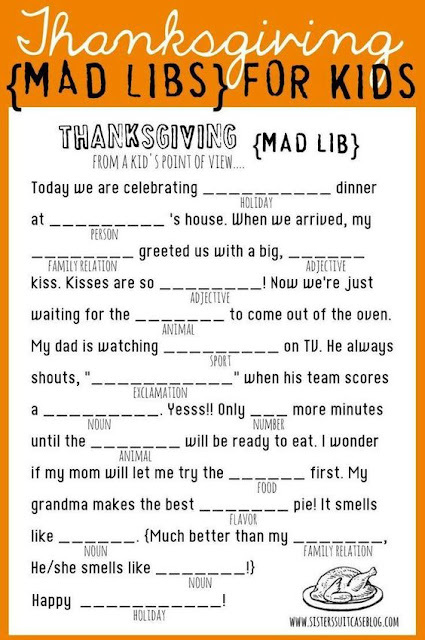 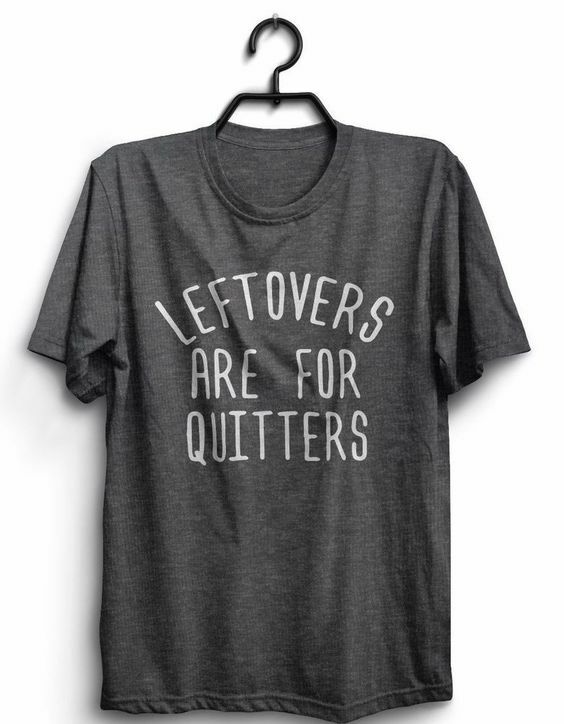 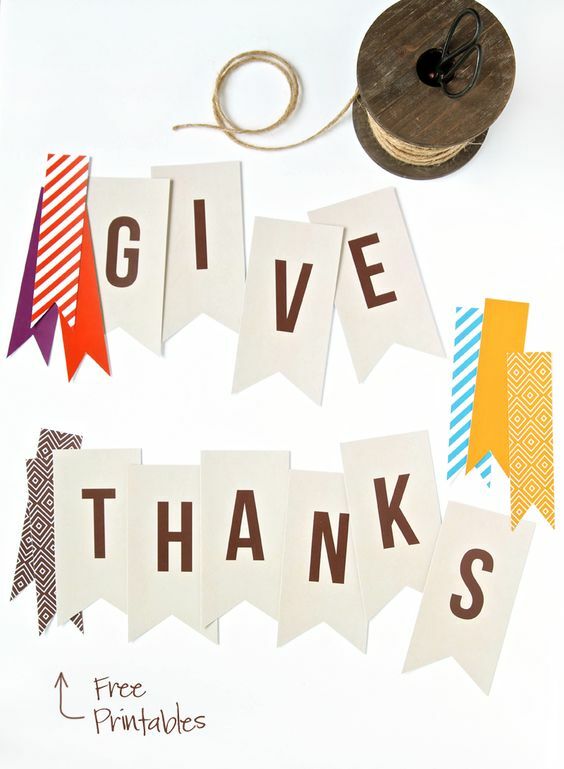 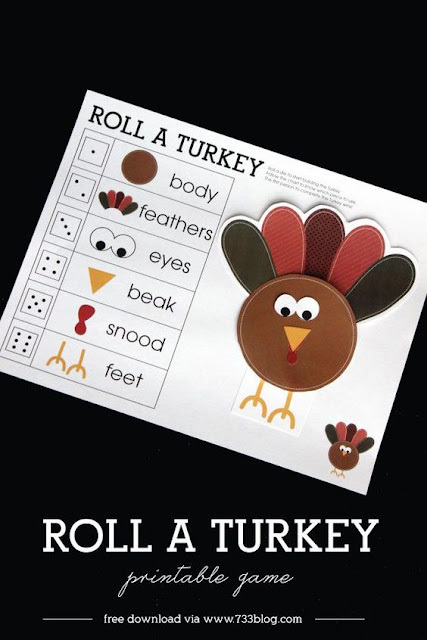 Roll a Turkey Game- created by "Inspiration Made Simple"
Thanksgiving Placements FREE printable-- created by "Ella Claire Inspired"
And who doesn't need a graphic tee for Thanksgiving?! 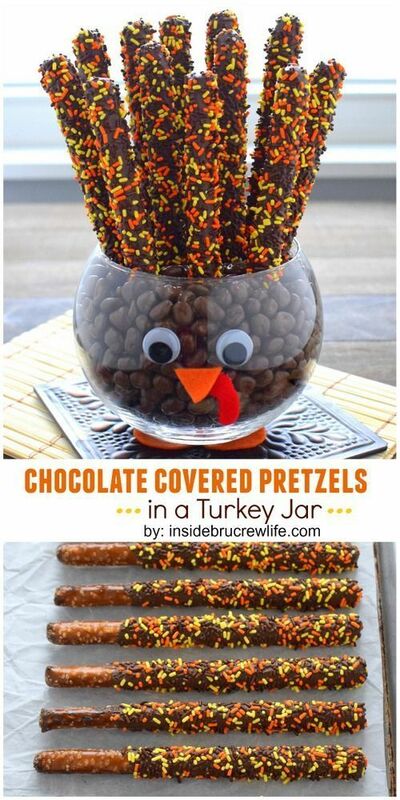 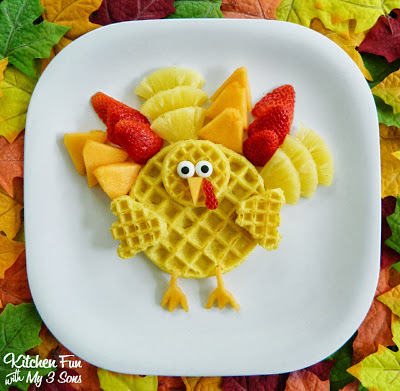 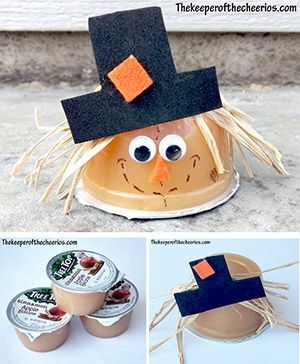 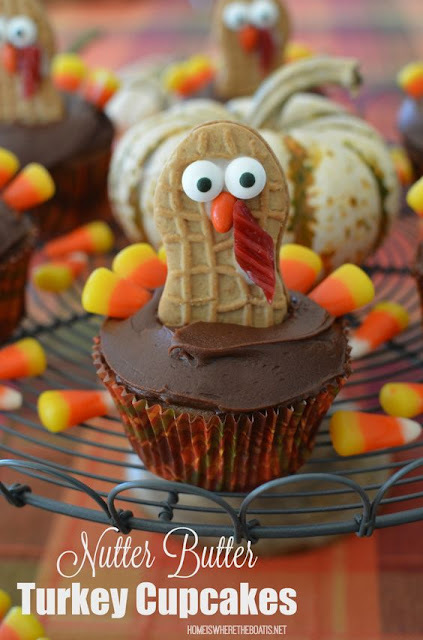 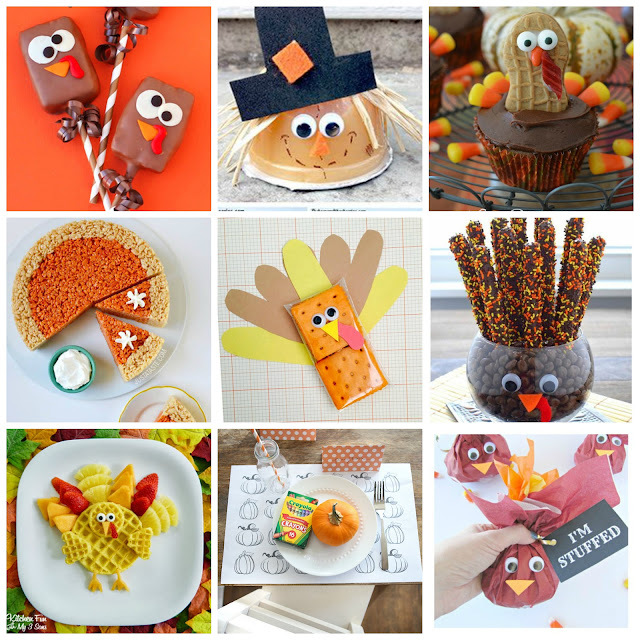 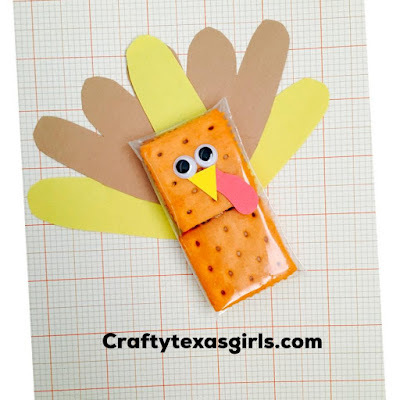 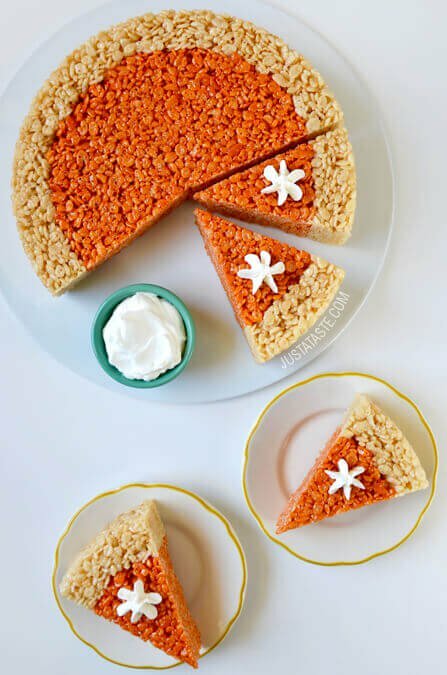 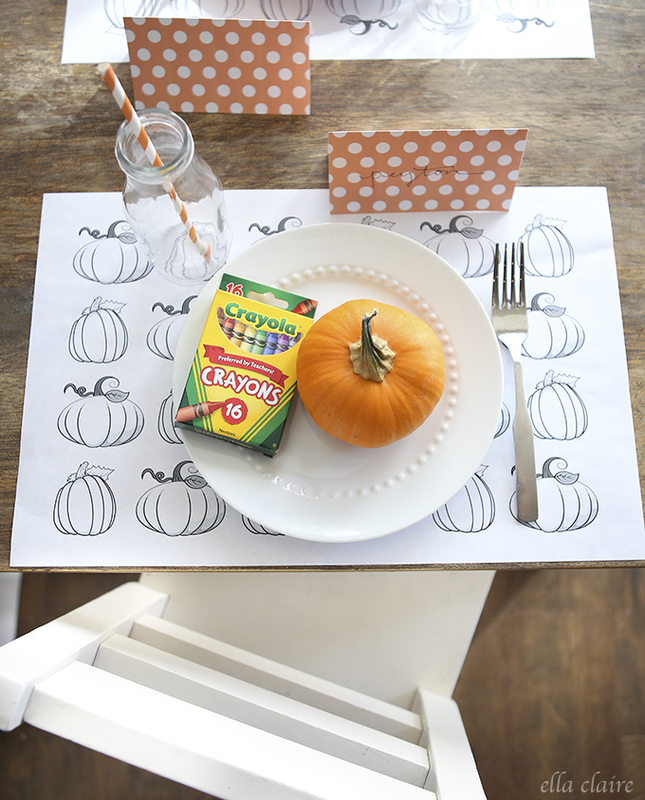 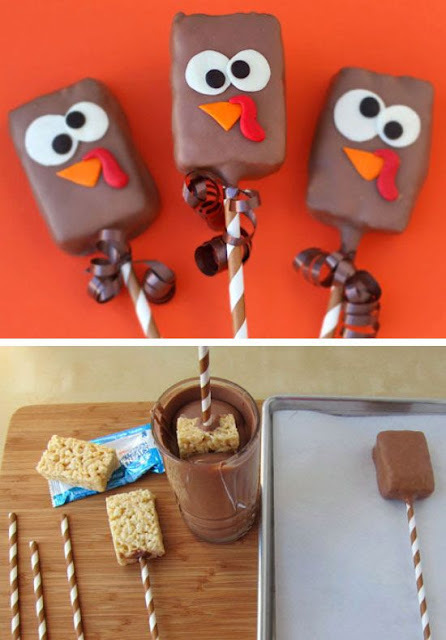 I hope these ideas inspire you to create something fun for your family this Thanksgiving! 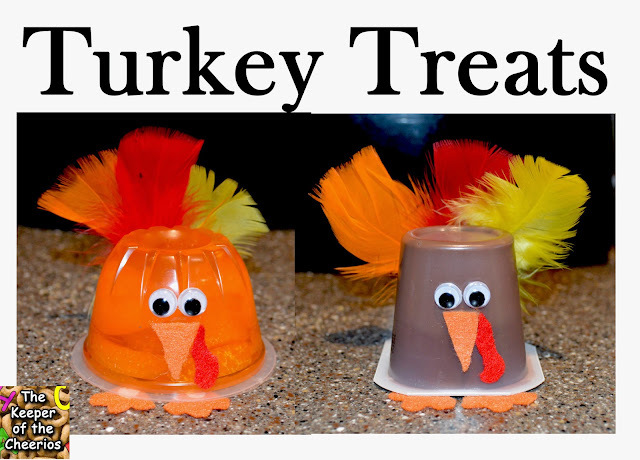 Click on the link above each image for details on how to create them. If you are looking for more ideas, check out what I have been saving on Pinterest!